Keep in mind that early reports are almost always wrong, but clearly this is a major mass shooting event. You can expect our opponents to immediately begin exploiting this tragedy. Remember that Oregon is controlled by anti-gun Democrats. This could be the end of the Second Amendment in Oregon if Oregon gun owners don’t start immediately mobilizing to counter what is no doubt coming. Question, according to the article the shooter is down, yet they show police searching bags (and students?). Under what legal athority consistant with the 4th amendment can they conduct these searches? Maybe it’s voluntary, but if a student refuses, then what? The shooter is “down” according to some reports. One says dead, according to police. Others say he’s in custody. Just another confirmation that the initial reports are scarce on facts. It’s too early to *know* anything. The community college is a gun-free campus. “Possession, use, or threatened use of firearms (including but not limited to BB guns, air guns, water pistols, and paint guns) ammunition, explosives, dangerous chemicals, or any other objects as weapons on college property, except as expressly authorized by law or college regulations, is prohibited,” the college’s security policy states. CHLs are authorized by law. Licensed folks can legally carry on public college campuses. (U of O actually got sued over this some years back, and the judge sided with state pre-emption: public colleges and universities don’t have the statutory authority to ban guns). Whether a student will get kicked out of school is another matter…. Didn’t Oregon pass UBCs? The laws that were supposed to prevent things like this? Is now the End of the 2nd amendment in Oregon. Just like it will be for the rest of the country WHEN a democrat is selected president in 2016. I give them until the end of the week before something akin to the SAFE act is signed by the governor. Only with no grandfathering and confiscation. Looks like the United States will follow the Australia model in less than 2 years. It is now absolute certainty by any means. This is now our 100% unavoidable reality. Not happening without a fight. Only if we LET them take it. Amen, brother. As an Oregon gun owner, they will not get my guns without a fight (though hopefully it will be a legislative battle and won’t come to fisticuffs; not unprepared if it does, but hopefully it doesn’t). I live in PA, but I feel for you guys. Keep tuning in, get informed, and swarm your legislative offices early and often. NRA probably won’t even spring to life on this until a week later as usual. This stuff could happen anywhere and in any state, gun control laws notwithstanding (as should be self evident). The NRA was pretty much a no-show on the SB 941 (“universal background checks”) battle, IIRC. I’m not expecting much from them. If they help, then great; they’re certainly welcome to pitch in. But I’m expecting that the OFF (Oregon Firearms Federation) and its members will have to shoulder most of the load. Yeah, because that’ll totally happen! Not a chance, I say; oh, the Socialist Candidates for Portland and Eugene might support something like that (but with no confiscation), but the rest of the State won’t. I’m 100% sure you’re wrong, and I’d bet real money on it. (Where do you get the idea that it’s “100% unavoidable” that the entire country will just throw out Heller and “ban guns” within two years? It doesn’t matter what the people say or do. They will ignore us at there peril. The recall election effort failed so they are emboldened. They could turn the state into CT or NY overnight, and they will try and they feel they will get re-elected. They feel as if there are no consequence to there action now. You do realize that Dems have a supermajority in both houses of the OR legislature, and a bleeding-heart Portland Dem governor in office, right? That’s how UBC passed in the last session. Looky looky. An incident to transfer the heat from those surrender monkeys in DC and the situation with Russia and the Middle East. Yes, UBC was able to pass. But that’s not “confiscation with no grandfathering”, which is several orders of magnitude more angering to people who vote. The idea that “one thing passed, thus anything can pass” is … dubious in the extreme. Representatives across Oregon know damn well that if they actually anger Oregon gun owners they’ll lose the election – it’s just that Oregon gun owners contains a lot of democrats and non-absolutists who don’t care much about, say, UBCs. But will care, a lot, about confiscation. Many said this after Columbine … then after Sandy Hook … but the bottom line is there are too many of us who do not accept a gun ban as the automatic solution to gun violence. There are too many of us willing to look at the whole picture who realize that the empowerment that guns provide protects more lives than laws making it more difficult for crazy people to get ahold of guns. Although I tend to be a bit pessimistic on the future as well, I’m old enough to realize that in terms of public support we on the Gun Rights movement are better off than we’ve been since … well, at any point in my lifetime and probably any point in the 20th century. It was just a few decades ago that a complete pistol ban had a majority of support with Americans, and people like myself who weren’t in favor of it just accepted that it would be a reality some day. Talk about pessimistic … in the 80’s-90’s I just assumed that by now we’d all be limited to single shot rifles and shotguns with extreme licensing regulations. Instead we have widespread concealed carry. My biggest concern is that while young people support gun rights, they support other social issues more. And if the GOP keeps supporting old school social issues (i.e. anti-gay marriage) young people will keep voting in old school Democrats who oppose gun rights because Democrat money people oppose gun rights. Single issues still win big across parties when it comes to individual rights. Where there is enough of an active coalition behind them who get it, the other side won’t win. Guns are the new golf among younger crowds. I have also seen it in young professional circles as well. I am not pessimistic (or deluded), but there is a need to fight back if you are challenged on this. I see a lot more people doing that. There is obviously a time for mourning and not a time to go on the offense here. However, there will come a time and we should all be ready. Can we add that to the list of Things You Never Say, alongside “what’s the worst that could happen”? These people have to be egged on by anti-gunners to act at some point. Mental illness, delusion, interest in instant fame, self importance seems to be rife in both gun control nuts and mass killers. Instant fame doesn’t seem to be happening this time – it’s now 9 PM and no mugshot on CNN’s front page or breathless “LET’S LEARN ALL ABOUT THIS GUY” article. Which is a good thing. Of course the media’s motives might be suspicious. Still, if you think sensational media coverage plays a role in inspiring incidents like this, you probably shouldn’t be too hasty to demand to know every detail about the shooter right now and insult reporters who either don’t know or aren’t telling. Yeah, no kidding. I don’t think I’ll complain about slow news cycles in public again. This community college is in the Senate Judiciary chair’s district, someone who is already openly hostile to rights, so yes, this is going to be VERY bad. Oregon and Washington state are paradises of freedom compared to California when it comes to gun rights. But Oregon and Washington have slid solidly behind the Blue Wall of Democratic Party power. And the forces of gun-control have recently tested their strength with success in both states. I fear your time is up, and within 10 years you will have to live with all the awfulness of Commiefornia anti-gun laws. After today, 10 years seems optimistic. I give it a month at best until Oregon mirrors Connecticut now. I tend to get emotional and post things that seem overly pessimistic when these things happen. I did the same thing after the Sandy Hook massacre. I honestly thought that feinsteins bill would pass and then they would start piling on the mandatory buyback like australia. That the UK would look better than us by the end of 2013. And like everyone else here I got really active to stop it. I was wrong. And I was and am very happy I was wrong. But we both saw what happened in Colorado. I still think Oregon and Washington are going to be fucked in the end. Maybe not as bad as california, new york or conneticut but it will still be pretty bad. That is unless they punish the freedom haters that want them to be killed for owning a guin and voting republican. If they DON’T do that; ram a bill through within a matter of hours the chances are much better there gun rights won’t be totally stripped away to the point where it’s not even a privilege. They already got a UBC so the next step is a AWB that makes feinsteins look tame with registration and some confiscation. Now even an AWB like that in Oregon I kind of doubt passing. Even if is is run by democrat supermajory who would love to see the end of all private gun ownership and all us us killed off by the government in the tens of millions. They know they might actually get voted out of office if they were to vote for such a thing. But you don’t know really. What we both already know is how much they hate us; how violent and rage filled progressives truly are and that they want us all dead. A magazine ban, probably. 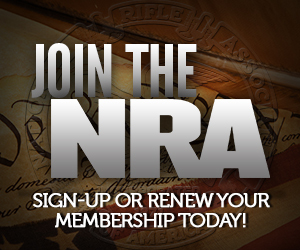 Registration of all semi-auto guns? Maybe that to. Which will then thusly be ignored. Reports are early. But based on rumors of a ‘silenced weapon’ I suspect the murder weapon will turn out to be a .22 rimfire rifle. Didn’t someone say they heard the shots from their porch? Not very silenced if you ask me. Asking whats you’re religion, and then executing people? For wrong answers? Possibly related to a lack of a description of the perp? I heard that as well, but the local (PA) and national news won’t say anything but it was a 20 Year old male. I just found myself yelling at Lester Holt on the NBC Nightly News; what a stooge. He was parroting ever BS statistic the demanding moms with PMS could provide: 175 shooting at schools and all that crap that was disproven by even left leaning news outlets. It sickens me to see the anti-rights push from the progressives before the bodies are even cold. I am listening to a recording of the Oregon police scanner transmissions that were made during this active shooter incident. I heard one LEO male say on his radio that the active shooter was armed with a long gun of some sort. I wonder if this “long gun” will also turn out to be something black and scary-looking to libtards. Well now the report is that he was specifically targeting Christians. Rest assured the interest level of the MSM and left leaning politicos has already dropped. The shooter’s name was Chris Harper Mercer, age 26. He identified himself as being mixed race on some online dating profile that he had. So, being that Chris Harper Mercer was not a white redneck type of guy who liked to wave the Confederate flag or anything like that, and that he fired head-shots at those who identified themselves to him as being Christians, I would say that the libtards out there will focus solely on whatever type of guns that were used by Chris Harper Mercer in his murder spree. P.S. I am now seeing Sean Hannity on Fox News interviewing a young man who is an Oregon CCW permit holder and a military veteran who is also a student at the school where this shooting took place. This CCW permit holder was on campus at the time of the shooting. This same guy was legally prohibited by Oregon law from carrying his gun on campus all while Chris Harper Mercer was murdering this same guy’s fellow Christian students on campus. That’s the reality of “gun free zone” laws there for you. Maybe what we need is a war on losers. A determined effort to identify losers like this jackass and get them on the right track.